Millwall had just conceded the second of two late goals and the fans weren't happy. Many began to leave the ground disgusted at what they were seeing, while most that stayed turned angrily on the players out on the pitch. But there was one particular supporter who couldn't take it anymore, and on his way towards the exit he decided to focus on me. I was sitting in the stand, next to my parents who were over for Christmas, being aggressively accused of not giving a toss about the club. Apparently I wasn't disgusted enough as far as he was concerned. I was out injured at the time, but he could tell from my motionless response to seeing the second goal go in that I clearly wasn't that bothered. He couldn't fathom why I wasn't on my feet gesticulating wildly at my team-mates. Like all players, he concluded, I was just there for the money and obviously didn't care. 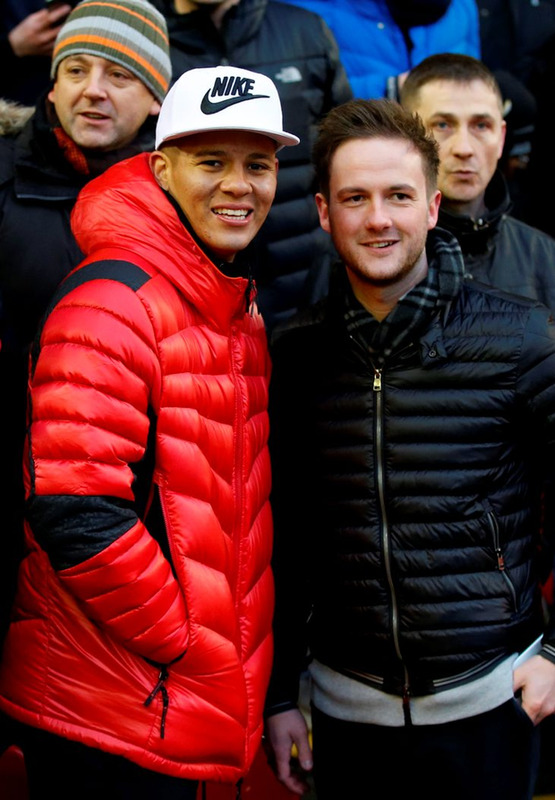 The sight of three Manchester United players in the away end at Anfield last Sunday warmed the hearts of football fans everywhere. Or at least fans of Manchester United. 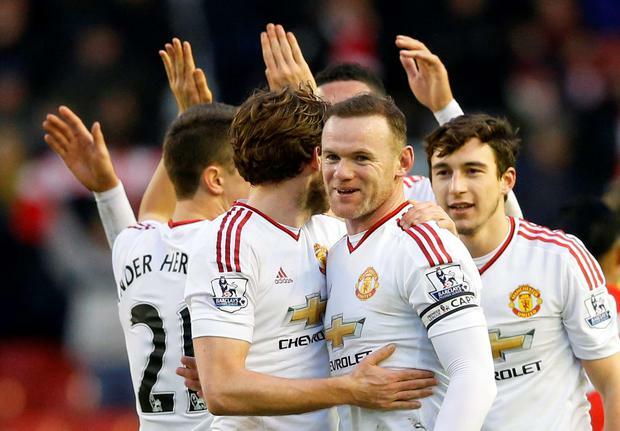 Michael Carrick, Phil Jones and Marcos Rojo, all unavailable for the game through injury, were seen mingling with supporters and celebrating with them when Wayne Rooney scored. I assume they had the option to watch the game from somewhere else, out of reach of both the fans and the television cameras. This was interpreted by many as a sign that players really do care. That no matter how different their circumstances in life may be, players and fans are tied together by an unbreakable bond. 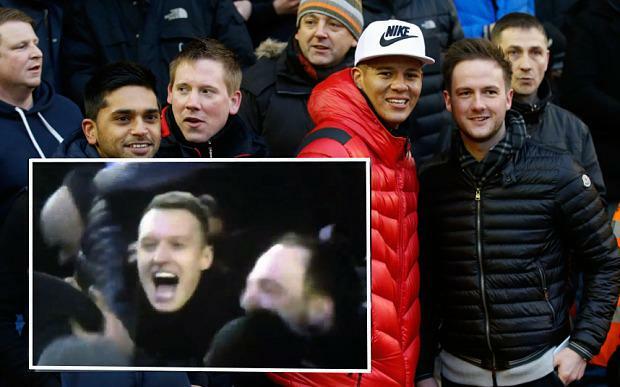 Jones was seen on camera celebrating just like all the other Manchester United fans, leading many to conclude there's no difference between them at all. Maybe, despite all the controlled media appearances, players are like fans? But players are not fans and no amount of photo opportunities will change that. The presence of Carrick, Jones and Rojo may not have been a deliberate PR exercise, but it had all the benefits of one, and therefore would have been viewed suspiciously by many strong characters I knew in the dressing room. 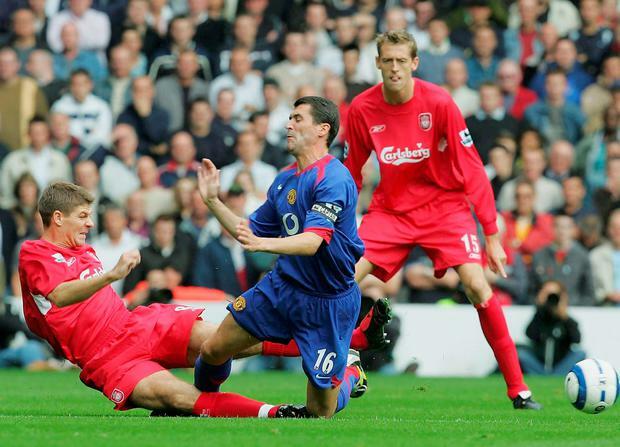 It was, essentially, a bit of banter, the kind of thing you might have glimpsed from Liverpool players like Neil Ruddock or Jason McAteer back in the day. I don't think you'd ever have seen Roy Keane among the fans when he was captain of Manchester United, and there is a good reason for that. There is a necessary distance between fans and players which has nothing to do with the amount of money the modern footballer earns. They have different goals, for one thing. What's the point in comparing the emotions of a life-long fan with those of a player on a short-term contract? It really shouldn't matter either way, but I suspect there's far more interest among fans in finding the answer. I can't think of why players would even consider the question at all. Things could have gone differently for the United players, as I'm sure they know. Had Liverpool won convincingly, there would have been several close-up shots of their reactions throughout the game. All the body language experts would be out in force, linking every wince and frown to their feelings about Louis van Gaal. An outburst of any kind would be played on loop on Sky Sports News. And if they showed little emotion, they'd be accused of not caring as much as fans. On days like that the privacy of an executive suite is well worth the money. With very few exceptions, the bond that supposedly exists between players and fans is either short-term, one of convenience or an illusion altogether. Players know it doesn't take much to be the target of boos and jeers. Regardless of how popular you are or how well you think you're playing, the journey from hero to villain can be completed in a matter of seconds. Everyone in the squad is aware of this reality. Whether they care about the fans or not, it's vital they say they do. The divide is there for a reason, though. It hasn't been manufactured. It may have been widened by the arrival of social media but it already existed. Mingling freely with supporters is easy to do when your team has just won a game, but it's a different experience altogether when things are going wrong. I didn't respond to anything that supporter said to me that day. I just stared back at him in silence, which only served to rile him further. I was 19 at the time and taken aback by what he was saying, but it was a valuable lesson learned nonetheless. As much as people stress the ties between everyone involved in a club, the ones that can be relied on the most at all times are inside the dressing room.